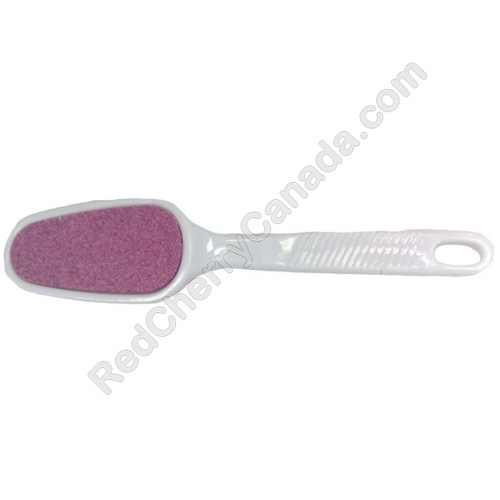 Double-sided professional foot file with medium and coarse grit ceramic stones. Features an easy grip, heavy duty and durable handle. Can be cleaned and sanitized with any plastic safe solution. Use wet or dry to smooth away corns, calluses, and rough skin. Ceramic Size: 1.6" x 3.0"